The low ceilings at Lupita’s remind me of a traditional style cantina, but that’s where my amateur comparison ends. When I think of the cantinas I’ve stepped into somewhere down a side street in the remote highlands of Central America I think of dark, rough around the edges places where people went to disappear. But that’s not at all how it is here. 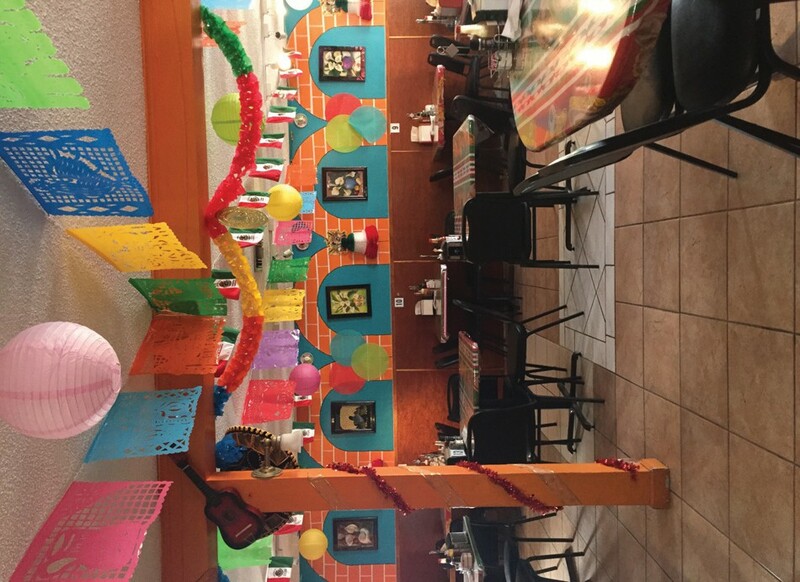 At Lupita’s, from the moment that you walk in you are immediately hit with a bright burst of color and the jolly polka twang of Mexican songs playing in the background. If you have ever had a chance to stop at the South Carolina highway pit stop South of the Border and felt like you were in a completely different world, that’s what Lupita’s feels like to me except without any of the kitsch and all of the genuine. At first glance the street-side facade appears a little nonchalant, as though they want to tell you it’s not what’s on the outside that counts. For those who chase all things off the beaten path, it’s exactly what you want. The decor is Latin rustic, the vibe is low key, the food is homemade, the owners are mom and pop. Lupita’s opened in November of 2012 a year or so after Julie’s parents moved to Key West from Port Charlotte where the business was first established. 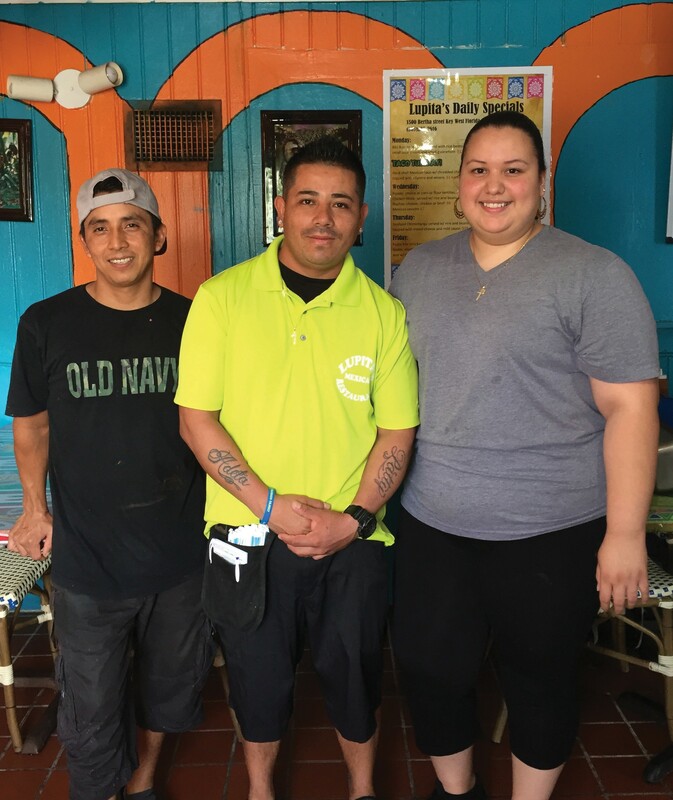 Lupita’s on the mainland started with just four tables and soon expanded by popular demand to a much bigger space that was an actual restaurant and not just a room. Some would say that America’s Mexican heritage restaurants can be judged by the way they make their tacos. Julie’s eyes light up when she starts describing the tongue and tripe tacos and how she likes her tripe cooked well done until it is hot and crispy “it tastes like pork hinds.” Another dish that she details with pride is the menudo, a traditional stew of honeycomb tripe and salted cow foot flavored with dried chile, onions, bay leaves and garlic and left to simmer for over four hours. For those less adventurous eaters Julie recommends the fajitas and specifically the fajitas de la casa with steak, chicken and shrimp and served with sour cream, guacamole, salsa and homemade tortillas. Which brings me back to the tacos, because you can’t have a good taco or fajita without starting with the base of a good tortilla. I imagine that making tortillas is similar to what making rice is to a sushi chef. It can be that serious. It’s a learned rhythm that takes years to develop as much as it is the about the ingredients. I nod in agreement. There is no greater food than the food made with love. 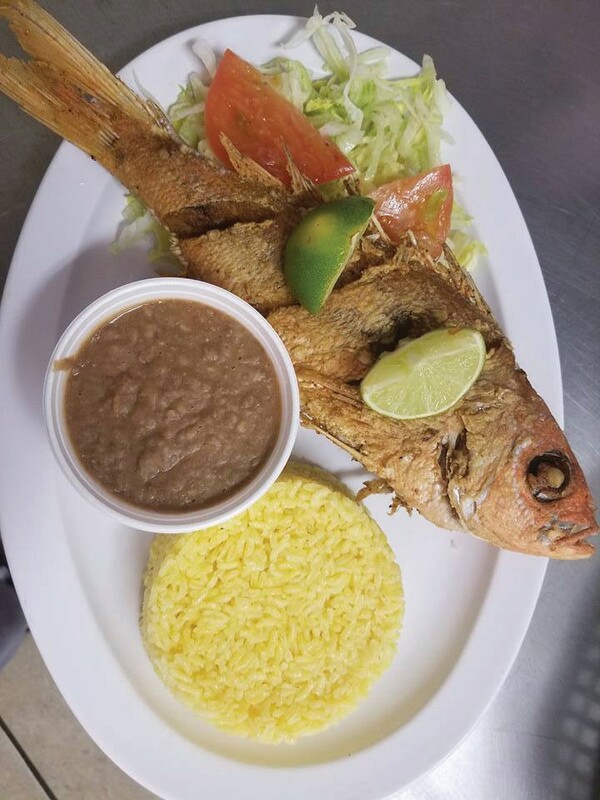 The crispy fried snapper is served simply with pico de gallo and a side of rice, beans and those homemade tortillas we just talked about. Another customer favorite, the BIG burritos as they are so called on the menu, are stuffed with cheese, lettuce, tomato, and onions with a side of guacamole and sour cream. Everything might sound matter of fact, but it is how they spice and prepare the food that makes the difference. For example, the mole sauce is blend of both of her parents’ ethnicities and so it is something rather personal to them. Lupita’s is open Monday through Saturday from 11 a.m. until 9:30 p.m. serving lunch-sized portions until 3 p.m. and full-sized dinner all day. They offer specials like 25 tacos for $50 and two Coronas for $6. Tuesdays also means $1 tacos.